Learn how you can get a GUARANTEED SALE on your home within 59 DAYS of your listing. 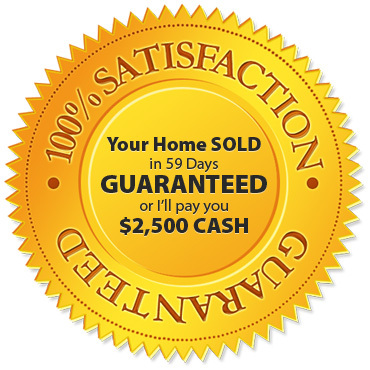 This written guarantee will give you the assurance that if your home doesn't sell within 59 days we'll pay you $2,500 in CASH. Fill out the form below to find out how you can sell your home for CASH, Guaranteed!